Many IT professionals cite loss of control as a barrier to using third-party partners for enterprise cloud construction and management. 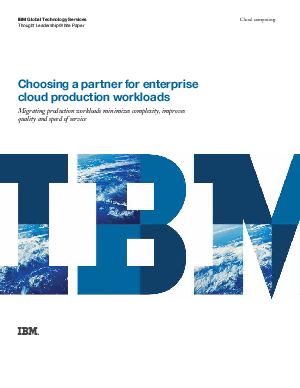 Read the white paper to learn how IBM SmartCloud Services help knock down this barrier by offering the cost-savings and convenience of a third-party cloud with a web portal that gives you control of cloud activities. You’ll also find out how IBM cloud solutions can help your organization enhance business processes, create new revenue streams and boost competitive advantage.